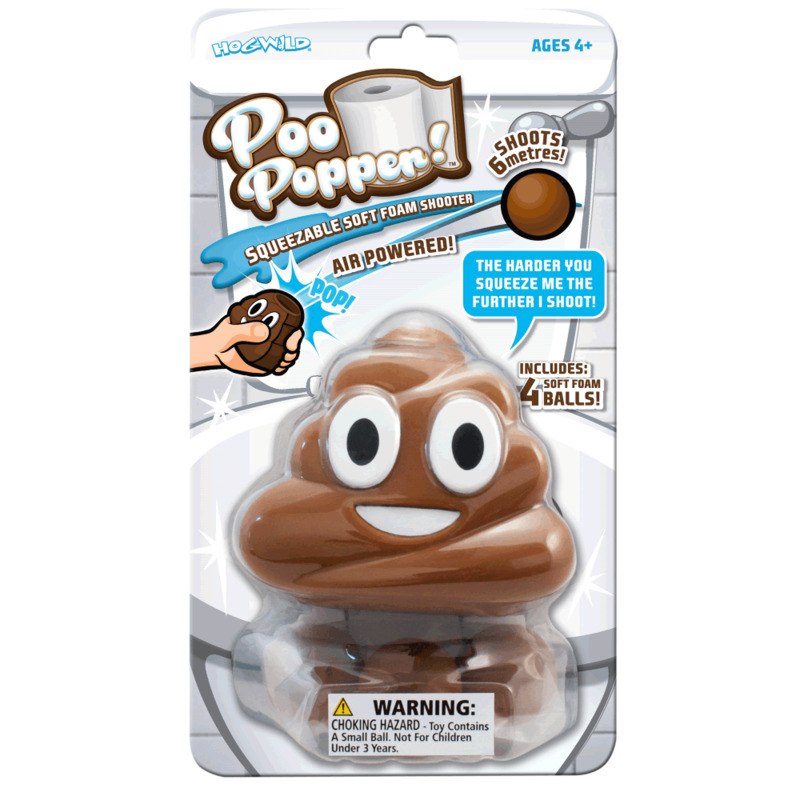 It had to had Poo Popper has arrived and this edgy new addition to the popper range is certain to be a sure-fire hit!! Pop a ball in the poo.. give it a powerful squeeze and ... the soft foam ball can shoot up to 20 feet away, great fun and safe play indoor and outdoor. Pack includes: 1 x Poo Popper and 4 soft balls. Bought this, along with two others in different format for my grandchildren as Christmas presents. They will love them!